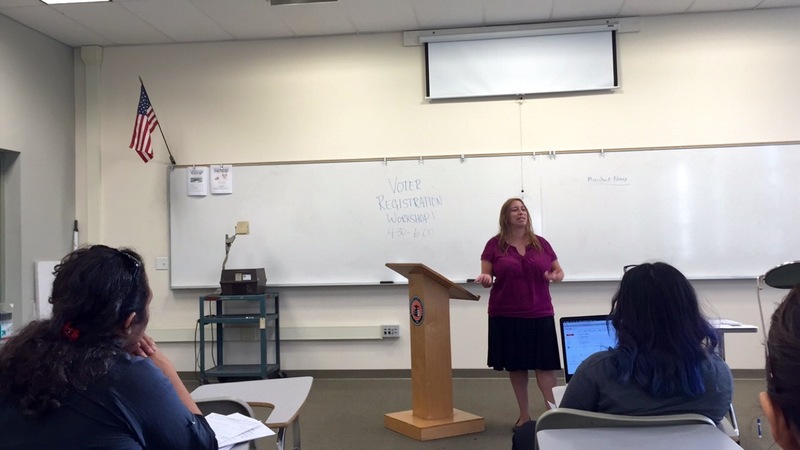 Maribel Nunez, RCC History instructor, informs students on the importance of voting at a workshop sponsored by the Riverside Student Coalition Sept. 29 in Quad 218. Maribel Nunez, an activist and U.S. History instructor at Riverside City College, was the guest speaker at the event. Speaking on a wide variety of issues, she encouraged students to help reach out to others and raise their voice. “We all want to be able to register to vote and register other people so they can have a voice,” Nunez said. The importance of voting was a main discussion during the workshop and many students spoke about their concerns. “It’s important for you to learn that you do have a voice and you do have this right, that’s something that a lot of students don’t exercise and they should learn to become comfortable with it,” said Riverside Student Coalition President Joseph Mejia. Two out of 10 students are registered to vote, but only one out of those two actually vote, according to Nunez. “About half (51 percent) of young Californians express little or no interest in politics…they trust the state government to do the right thing just about always or most of the time,” according to the Public Policy Institute of California. Nunez expressed her feelings on the importance of encouraging young people to vote. She believes that young people tend to be more liberal, more aggressive, and have a more positive outlook on how they view government. “They’re the lifeblood I think, of our economy and they need to have a political voice,” Nunez said. Mejia also expressed that the idea of voting not making a difference is a common misconception amongst students. Cesar Sanchez, an RCC student who attended the workshop, encourages people who cannot vote to be informed about issues going on around them and inform others. “I am an undocumented student so I am unable to vote, but my family is and for me voting and participating in elections is very important,” Sanchez said. His advice to students is to go out and encourage those who can vote to do so. After all, voting is just one of the many ways to raise your voice. The last portion of the workshop was dedicated to filling out the California Voter Registration Form. Nunez covered the entire process and explained how simple the actual registration process can be. For students who are interested in registering to vote they can visit http://registertovote.ca.gov/. Riverside Student Coalition meetings are held Mondays at 12:50-1:50 p.m. in Quad 215. 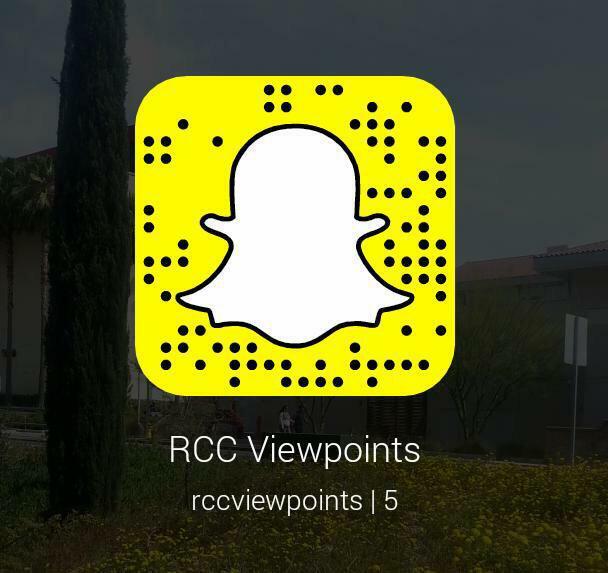 “We’re a newer club on campus and we try to hold events on multiple issues. We try to educate students on anything from immigration … food insecurity, corporate financing in politics” said Mejia.